Dive into South Korea's largest representational outdoor hip hop festival — Hiphopplaya Festival! Choose the 1-day package if you only have a day to spare, or the 2-day package if you're a true hip hop fan! Ready for the most epic hip hop festival this year? Get tickets to the Hiphopplaya Festival 2019 at Klook, on sale for only 5 limited days! For the third time running, this Korean hip hop festival held by Hiphopplaya is keeping Seoul's bitterly cold Nanji Hangang Park hot yet again. See the opening performers start the festival with an energy that will set the mood for the day. Watch the best artists of the year perform, and enjoy the mixed lineup of new upcoming talent, as well as established rappers and even some hip hop royalty. You'll end up with a few new names that you've never known before! 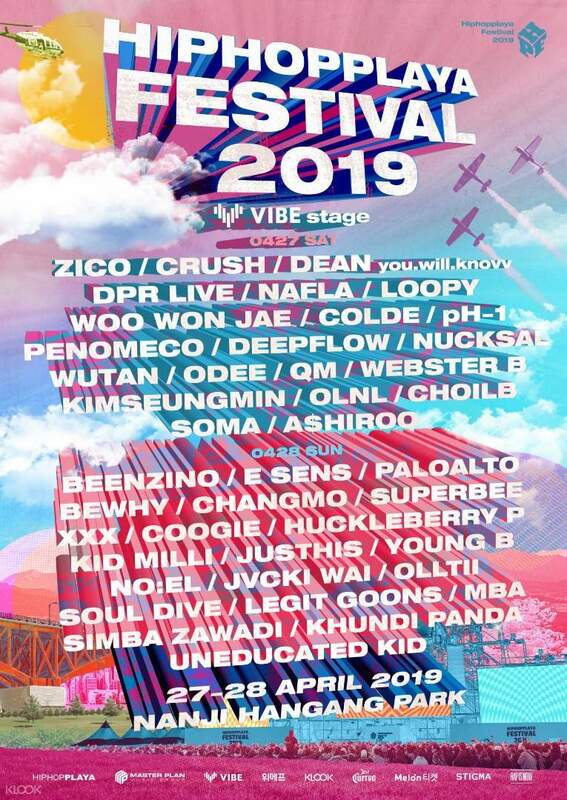 This music festival simply gives a nice taste of what the Korean hip hop scene has to offer. It's a festival that you just can't miss! Watch South Korean hip hop artists pour their heart and soul into their performances!